I have just listened to Jack’s Survival Podcast episode 1166 – The Fundamental Mentality of Modern Survivalism. I do agree with Jack’s views on Modern Survivalism, he makes very excellent points. I also agree that nearly everyone in the world is a “Survivalist”, as we are performing the act of Survival. I do respectfully disagree with his views that “Survivalist” is the term by which we should refer to ourselves. I feel that Preparationist is a more appropriate term for our views, as we are a group of people who have a specialised interest in Preparing. 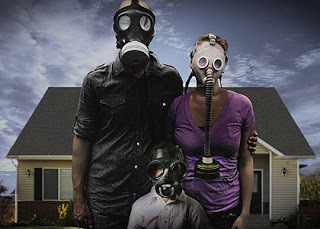 I am sure we are all familiar with the public image of Preppers portrayed in Nat Geo’s “Doomsday Preppers”. I believe that I originally came up with the term “Preparationist” around 2002. It was after 911 and I had become interested in the Survival movement, due to the shock of the outcome from that terrible day. After some investigation on the web and any books or magazines I could read on the subject (such as Dancing at Armageddon: Survivalism and Chaos in Modern Times by Richard G. Mitchell Jr.), I realised that the term “survivalist” had a lot of negative baggage connected to it. “Survivalism”, as I saw it, was connected to extreme religious views, white supremacy, conspiracy and exclusionist points of view. 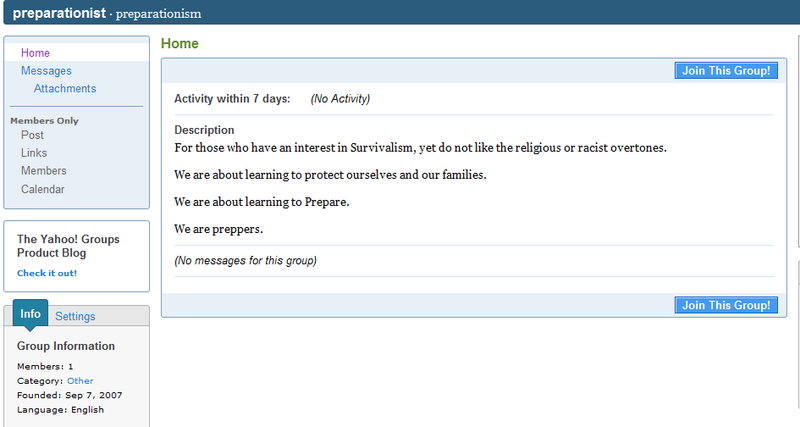 Everywhere I turned I found the negative aspects of Survivalism… forums with people discussing how they are looking forward to the time they can use their weapons, sites stating they would only help people of certain religious groups, and not others. I read of extreme religious groups creating survival communes in the wilderness, intending to use a catastrophic event to force their views on others. I felt that the term “Survivalist” was tainted and could not be rescued. I also doubted that the term Survivalist could ever really be removed from these extreme points of view. I began trying to come up with a term which met my views and I came up with Preparationist, or Prepper. I felt that this, while a cumbersome word, covered the idea of what I was trying to achieve… which was preparing. I was gathering the skills, knowledge, equipment and networks I would need to ensure that I was prepared to support my family and friends in any situation. I had searched for this term in literature and on the web, only to find that it was not used for this description. I decided that this was the term I would use explain to people my views. I was a Prepper. For some time I worked towards reaching a level of preparedness, telling people who were curious that I was a “Preparationist” when asked about this, especially when they asked if I was a Survivalist… I was very determined in ensuring that people understood that there was a difference between a Preparationist and a Survivalist. In 2007 I decided I would try to reach out and connect with people on the internet, so I created a Yahoo Group called “Preparationist”. At the time this seemed like the best way to connect to people. Unfortunately, I am still the only member of that Yahoo group, although this is not surprising, as I removed all of content several years ago (although the group is still active). The reason for this was the idea of networking took a back step for a while as shortly after I created the Yahoo group, people I came across on the internet and my circle of prepper friends told me that I should keep below the radar and be careful to who I reveal my true Prepper views. I heard rumours that I should not contact anyone whom I did not know as some Survivalists who learnt of my plans or location would make plans to rob me or hurt my family… for some reason I believed this and was fearful. I have since learned to be more relaxed about some of this, thanks to Jack’s podcast, and I have created this blog as a way to connect to people. While Jack may believe that “Survivalist” is a term we can take back, I would argue that in a way it was never really ours to use.